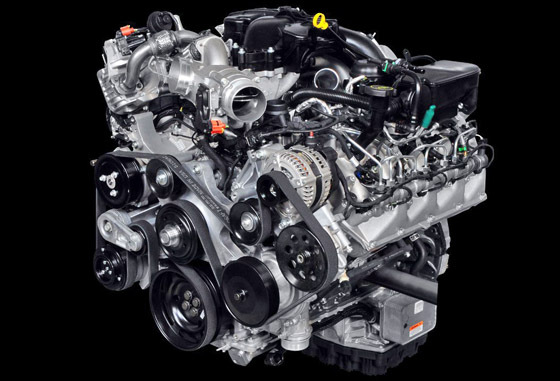 Ford introduced the 6.7 Powerstroke engine in the 2011 model year F-Series and we all wondered how the diesel engine they built completely in house would fair. After a good five years of being in use, they are holding up great. It’s not to say they don’t have a few issues here and there, but overall they are solid engines. We will continue to update this article as we experience new issues with them. But here is what we know so far. 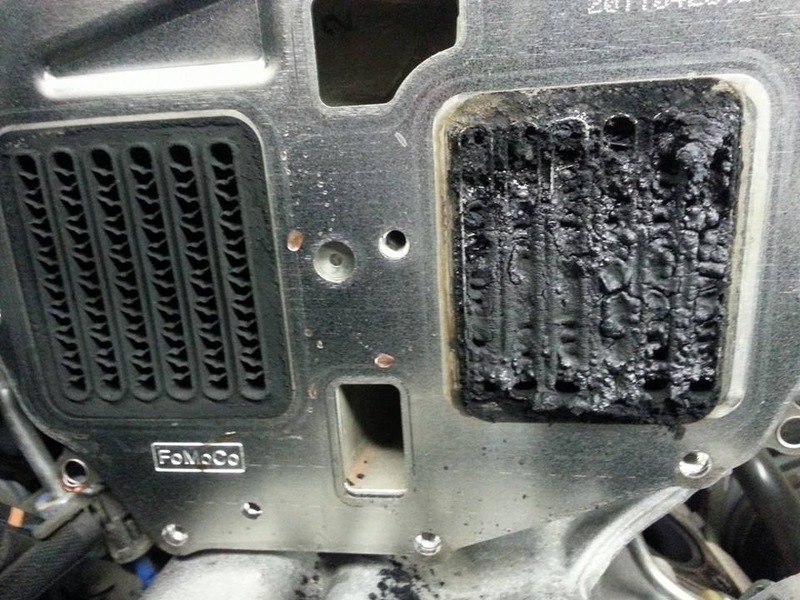 Radiator failure: We see this issue mostly on the early 2011 trucks, so Ford may have fixed the issue. The 6.7 Powerstroke trucks have two radiators. The primary radiator (closest to the engine) develops a leak where the plastic tank is crimped to the metal center. We usually upgrade them to a Mishimoto all aluminum welded radiator when this happens. Replacing the radiator isn’t a terrible job, but takes a few hours to complete. There isn’t any other fix short of replacing the radiator at this time. Other Coolant Leaks: There are common coolant leaks around the turbocharger area occasionally. The turbo coolant inlet fittings are regular offenders but are simple to replace. The turbo base gasket will sometimes leak and require the turbocharger to be removed to replace it. 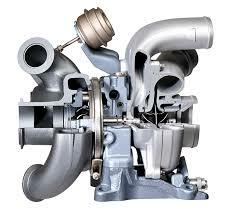 Turbo Failure: One of the biggest issues the 6.7 Powerstroke engines suffered from was turbo failure. The turbo on these trucks is a fairly complicated unit. The best way to simply describe it is that they built a single shaft turbo that works the same way a compound turbo setup does. It has one exhaust housing and wheel, but two compressor housings and wheels on the other end. It basically works like a twin setup by redirecting the airflow from the first wheel to the second to be compressed again. This raises the volume of air that the single charger can create and provides ample airflow for good power. The 2011-2012 trucks had the most turbo issues. The bearings would fail. In the early production models, they used ceramic bearings that often failed. The updated replacement turbo now has steel bearings which seem to be holding up pretty well. We are a big fan of the ATS upgraded turbo kit though if you want better performance and reliability. Random Sensor Failure: We have had a few trucks in with a failure of one of the four exhaust sensors that will put the truck in a limp mode. This is usually a fairly simple diagnosis as a code will set for the specific out of range sensor. Simply replace that sensor and you are back on the road. Turbo Coolant Inlet Leak: A few trucks have come in with slight coolant leak up on the top of the engine usually towards the driver’s side. Most often it is the turbo coolant inlet fitting that leaks. You have to remove the upper intake to get at it. Replacing the fitting and line fixes the issue and is relatively easy to do. EGR System Issues: The egr coolers are actually pretty robust on these trucks and we haven’t seen anywhere the issues we did on the 6.0 and 6.4 Powerstroke trucks. The main issue seems to be the cooler getting clogged with soot. It will usually throw a P0401 that won’t clear even though everything in the egr system seems to be functioning properly. The fix is to replace the egr cooler. Luckily they are so much easier to replace than previous engines. DPF/DEF/EGR System Deletion: For racing and off road applications it is possible to delete these systems with the proper programming. A DPF deleted 6.7 Powerstroke diesel runs extremely well. The programming and parts are available to remove these systems for all the 6.7 Powerstroke trucks right up to the current model year although it is not legal to operate these vehicles on public roads with the emissions removed. Glow Plug Failure: On the 2011 model year trucks the glow plugs can potentially break off and lead to massive engine damage. The later model year trucks have updated glow plugs and do not suffer this issue. If you have a 2011 model, we recommend replacing the glow plugs with the updated ones if you are not sure if they have been replaced or not. Fuel System Failure: The fuel system on the 6.7 Powerstroke is a very good design that delivers quiet operation and great performance. The only one downfall is that if the injection pump fails, it can spread debris throughout the entire fuel system. If this happens it will require the pump, injectors, and pressure regulators all to replaced. The entire fuel system will need to be cleaned. It is recommended to be extremely careful on what fuel you put in these trucks and keep the filters changed religiously.